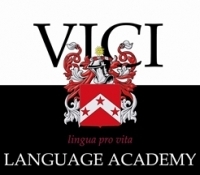 Acting on behalf of Crossroads and Greenham Common Trust, Richardson Commercial has let around 1,500 sq ft of offices to the Vici Language Academy. Vici, which had been looking to relocate for some time have agreed a new lease for a 5 year period. Paul Richardson, who handled the letting commented, "we were instructed in early December and Vici moved in over Christmas, which must be one of the fastest lettings in West Berkshire this year. In fact it was so fast we didn't even get time to get our letting Board up!" Vici now operate from Arcade House just Bartholomew Street in the centre of Newbury..